Everything began when I chose to lose a touch of weight. You need to know, that I can just eat sweet things in the mornings. What's more, it's not in any case discretionary. I need to eat something sweet or I'm simply surly and extremely pitiful throughout the day. When I began abstaining from excessive food intake, I picked a veggie lover clean eating regimen obviously. I was most likely enduring "terrible", so my body simply needed to enable me to out. Be that as it may, this really heavenly breakfast/nibble thought was conceived. Months after the fact despite everything i'm eating it's still great. A couple of notes on the fixings, however. In any case, not when you pick a brand that is brimming with sugar and palm oil and different awful fixings I can't articulate legitimately. Pick a brand, that is JUST nutty spread. I swear it's so much preferable and increasingly tasty over these different ones. 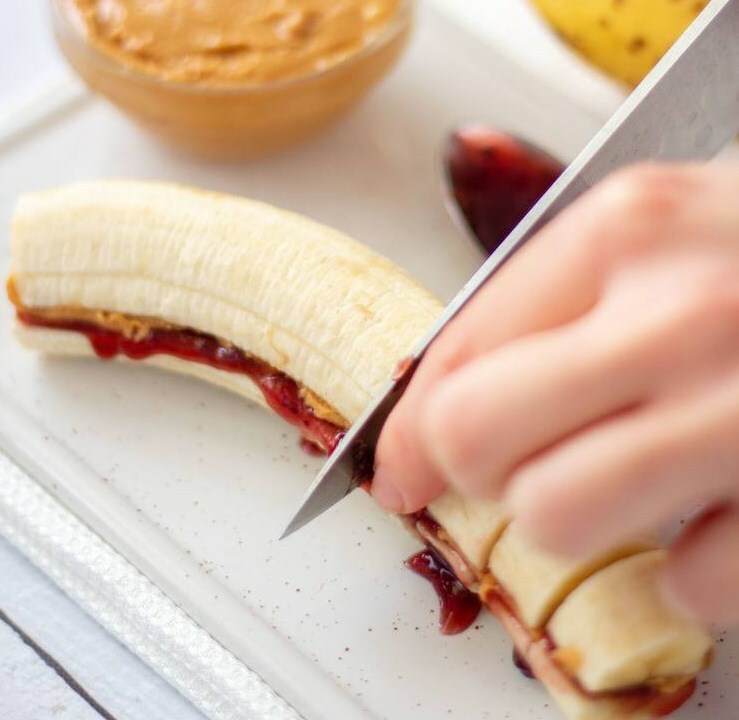 Slice the banana in half, then spread peanut butter and jam on each half. Place them back together, then cut your banana sandwich into small bite-sized pieces. Visit bit.ly/2Z89Cg1 for full instructions.